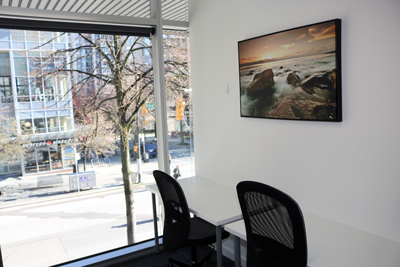 Get all the benefits of traditional office including access to business amenities such as high-speed internet, mail and courier handling and a reception desk but without the high cost of the downtown Vancouver office; Save more than $500 just in utilities! 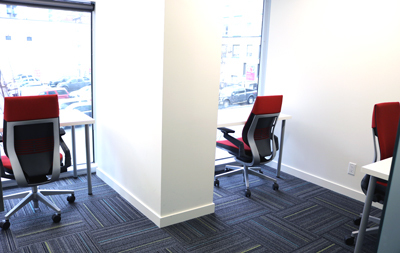 Our fully furnished, secure private office are ideal for small and medium sized businesses, entrepreneurs, freelancers, lawyers, software developers, graphic artists and branch offices of larger corporations. Book a tour today! 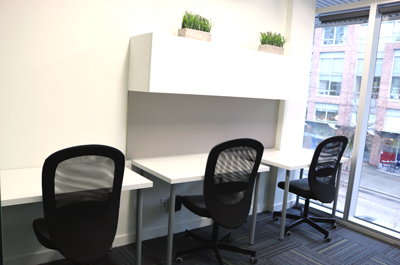 You want to tap into all the advantages of co-working but would prefer a more private working environment, our dedicated office space rental is the ideal solution for short-term, long-term or temporary use. Our beautiful offices are configurable for any type of business. Come and see for yourself! No hidden fees, no membership charges and no surprises! Just one great community, committed to everyone’s mutual success. 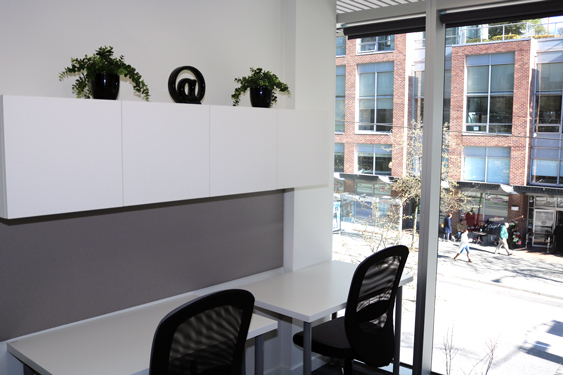 Brand new fully furnished window office, fits up-to 4 people with 24/7 access. * What’s Office Hours option? You can only access the building doors and elevator without FOB on weekdays between 8 am to 5 pm, however you can stay in the office until 8:00 pm, but after 5 pm you can’t re-enter the building. Initial commitment is 3-months follow by a month-to-month term. 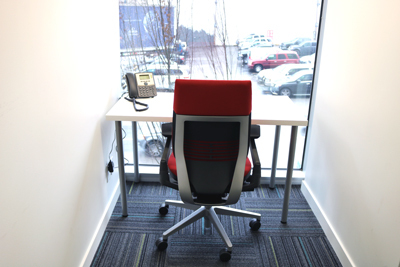 We have something for every budget; Day pass, single person workstation or teams, private offices and meeting rooms. Learn more about our packages and benefits. 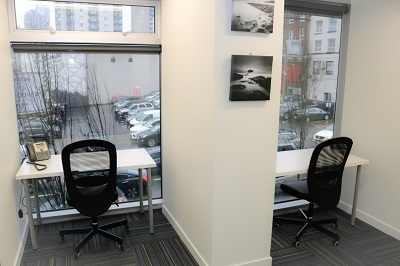 Coworking is utterly fantastic for serendipitous connections and collaborating with like-minded individuals, but the dynamic of the shared office space might not be ideal for every situation. 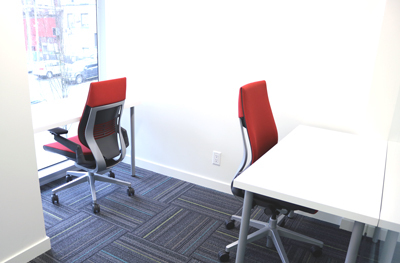 If you would prefer a workspace that you can call your own, then private office space rental with the VanCubers is right for you. There is no commitment & long-term contract to sign! 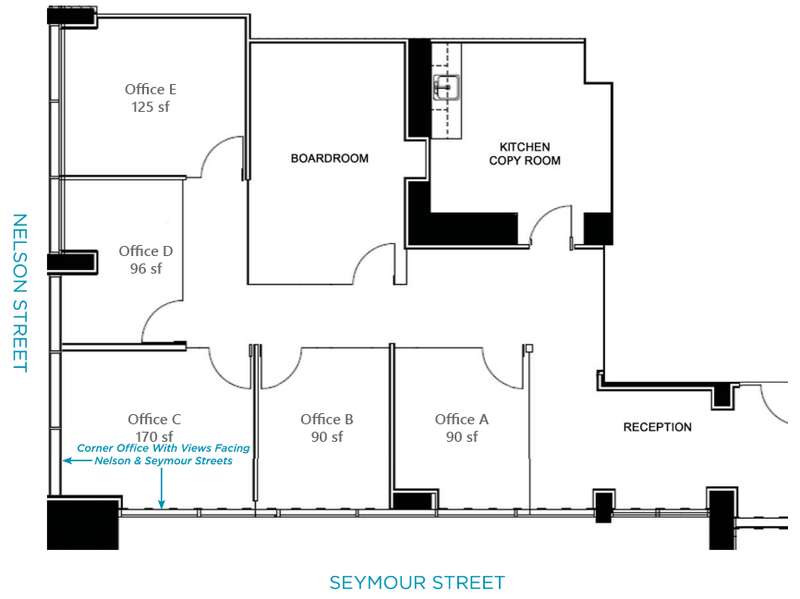 The dedicated office space is yours for however long you need it. 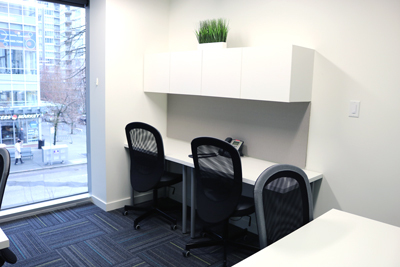 This is the ideal solution for a short-term office space rental, perhaps while your main office is temporarily over capacity but you need a private space where you or your employees can work effectively. 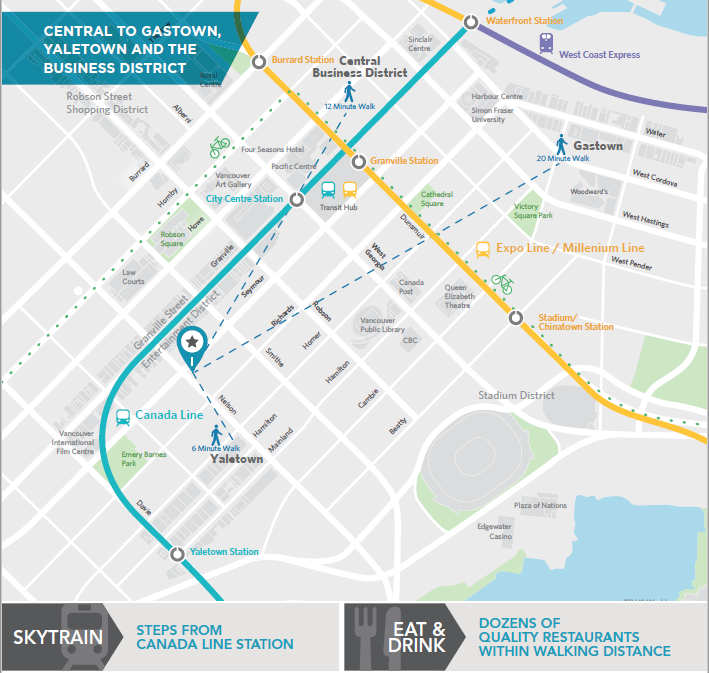 Maybe you usually work out of an office in Calgary or Toronto, but you’ll be in the Vancouver area for the next few months working on a project. 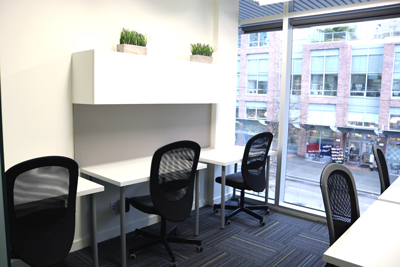 VanCubers private office space in the heart of Downtown Vancouver, can provide you with the office infrastructure you need to get the job done. This includes reliable, ultra high speed internet, as well as access to printing, scanning, photocopying and faxing services. 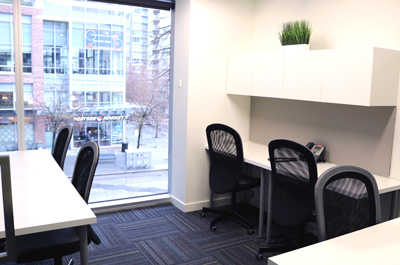 Just as you would expect if you had your own private downtown office, private office space rental with the VanCubers includes the services of our live receptionist, as well as our mailbox rental service plus bike storage. Our front desk will happily accept courier deliveries and regular mail on your behalf, including paying for any customs or duties in advance so you never miss a shipment. If you need more space than what your private office can provide, you can book our meeting rooms to host team meetings, client meetings, interviews, sales presentations, workshops, or whatever else you may need.